Do Toronto Cops Have It In For The Emery's? Do Toronto Cops Have It In For The Emery’s? Another Cannabis Culture dispensary raid this week by Toronto cops this week reinforces the need to introduce laws to regulate dispensaries fairly. The Toronto Police have raided the Queen Street East location of the most famous dispensary brand in Canada, Cannabis Culture. The owner, Marc Emery, a.k.a. the Prince of Pot has officially been raided twice by the municipal police this summer and has had some of his employees charged in both events. The Queen Street West location was raided in June and resulted in a huge backlash from Emery and the cannabis community in Toronto. The Toronto Police have labeled the focus on dispensaries as “Project Claudia“, and officials are dubbing this week’s events as the third round of Claudia. The first and second events were in May and June 2016, respectively. The Cannabis Culture raid resulted in the arrest of the store’s general manager, Erin Goodwin. As seen in the photo above, Goodwin was unfortunately arrested in front of her children. She was also arrested in the 2nd round of Claudia in June and is facing charges of drug trafficking. The Toronto P.D. also seized all of the cannabis products in the store as well as the businesses computers on site. John Tory, Toronto’s mayor has made statements about the dispensary situation that a lot of Canadian cities are facing in times of legislative limbo. You know what they are? They are the people who were chased out of Vancouver when they brought in a licensing system and they all said that’s no problem we’ll go down to Toronto. 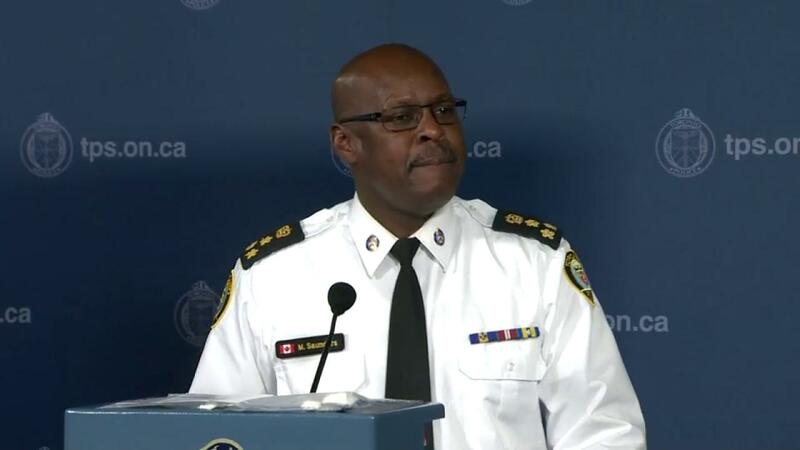 Toronto’s police chief also has some rather ridiculous comments surrounding the active molecule in cannabis, THC. He desperately tried to victimize the compound as some sort of dangerous narcotic while using the excuse of regulation and public safety as a justification for the raids. These locations have a broader impact on the surrounding neighborhoods. There is no quality control whatsoever on these products, and as you can see, they are marketed in a way to disguise the unknown and unregulated amount of THC in the products. With these sorts of raids happening around Canada, the pressure lies on PM Justin Trudeau to introduce laws that can help regulate dispensaries fairly. Without federal guidance, municipalities will continue to enforce dated cannabis laws which aren’t fun for anyone. What do you think about Toronto’s approach to the dispensary crackdown? Do you expect dispensary laws to be progressive in 2017? Let us know on social media or in the comments below!